We have recently talked about the role of artificial intelligence in games and the arts, but what about retail? Following our conference on the impact of artificial intelligence in the media, retail and insurance sectors, we return in this article to innovative initiatives taken by retailers to optimise their performance, in particular, those made by Casino in their hypermarket in Pessac, which serves as a laboratory to test these in a live environment. As we have shown in many of our articles, retail is a constantly changing sector. Stores must, therefore, innovate to meet consumers’ expectations as closely as possible, particularly concerning their customer experience. Major brands such as Nike are now starting to create interactive displays, and many retailers are integrating touch terminals in their stores to improve the customer experience. In the same context, Casino has launched a full-scale test with several start-ups in its “Géant” point of sale in Pessac, near Bordeaux, to test several technologies in a real environment where consumers are evolving. In the food retail sector, two areas must be taken into account when it comes to stocks. It is not just a matter of managing a warehouse, but also of processing products whose expiry date is approaching or has passed. 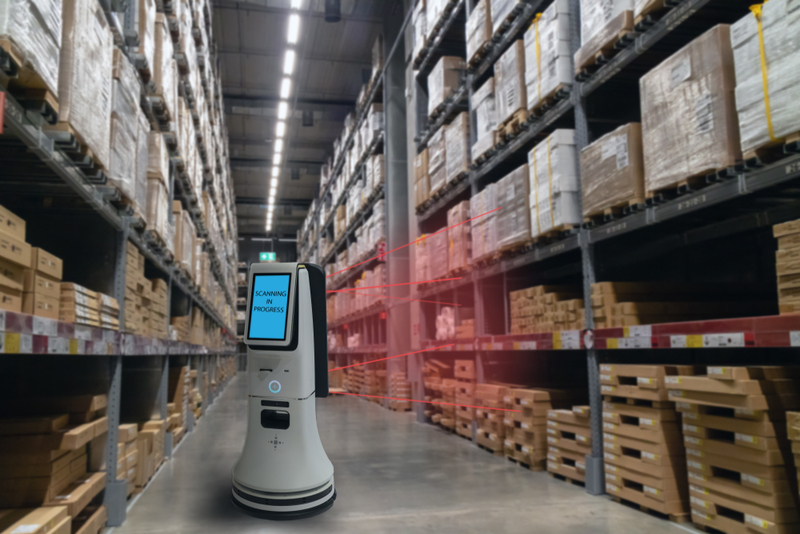 Casino is committed to innovation on both fields with Simbe, a robot that monitors the inventory by moving through the aisles. Its main purpose is to observe the shelves while taking pictures that allow it to detect stock shortages and labelling errors, thus allowing the referring teams to remedy the problem effectively. Concerning waste, the brand also has its solution. Indeed, identifying products with a short best-before date is not only a tedious task but can also lead to dry losses for the company in the event of poor management. To remedy, or at least improve the situation, New York-based Yoobic, which is headed by Fabrice Haiat, has developed an application that triggers a warning light on a product’s electronic price label when the product’s Best before date approaches. This allows in-store teams to quickly locate products and transfer them to the anti-waste promotion department before adding newer products. 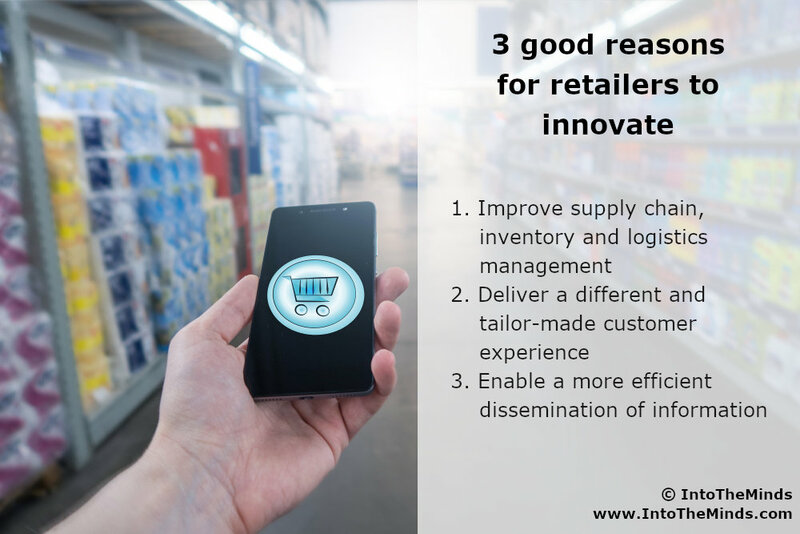 These technologies make it possible not only to manage inventories but also, in conjunction with tools for predicting and analysing purchasing behaviour, to anticipate future needs. Casino’s fleet of trucks is already starting to run on organic natural gas. The brand is focusing on eco-responsible transport to increase its eco-responsibility. As more and more consumers want to have their shopping delivered to their homes, Casino is trying to reinvent home delivery by creating “mobile hubs”. What is a hub in logistics? A hub is a platform, a turntable, where one or more suppliers store their products or drop them off for future delivery. Casino’s mobile hubs would, therefore, be composed of eco-responsible trucks carrying several orders to be delivered to your home. These trucks would then proceed to a pre-defined drop-off point to load deliveries on scooters from the company GreenLiv. An eco-responsible ambition that also allows consumers to track their orders in real time, as Uber does with real-time tracking of drivers. In the same way (but a step further) Amazon launched delivery by autonomous robots at the beginning of the year. Scout, the Amazon robot is currently in the test phase at Snohomish near Seattle. It still requires the supervision of a human but is already able to avoid obstacles and open up when a customer reaches out to him to pick up their package. As for Casino, it goes even further in optimising its logistics. Indeed, the order or delivery pick-up service pushes the brands to improve their logistics outside the stores but also inside. To do this, the start-up Find & Order generated a 3D map of the store allowing teams who had to move around to place a customer’s order to follow an optimised route to increase productivity. Just like Delhaize, which provides its customers with an application that allows them to visualise the ingredients of the products they want to buy, Casino Max has an app, Casino Max, which helps the brand to notify their customers when new products are on sale, for example. This technology can also be integrated with robots such as Pepper Robot, a product of the alliance between the Japanese telecom company SoftBank and the French robot manufacturer Aldebaran, which welcomes customers, announces current promotions or new products or the virtual hostess at Cover Girl in Manhattan. 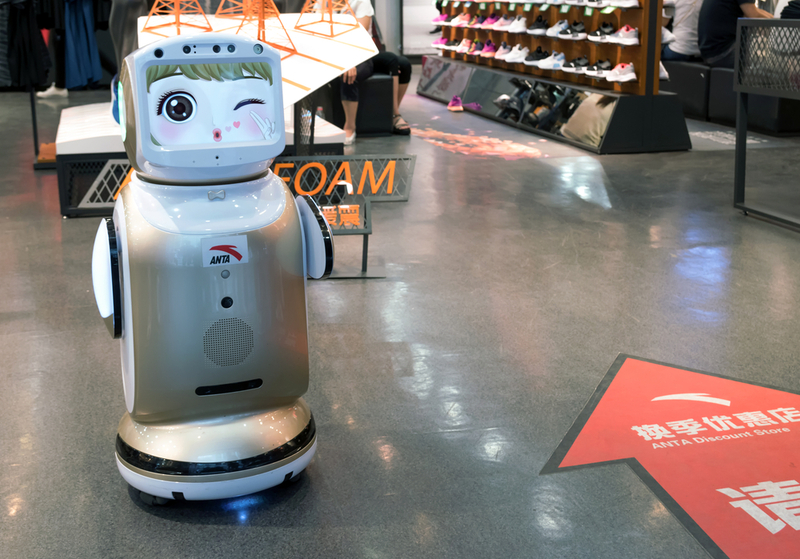 While these robots attract passers-by and increase in-store traffic by an average of 20%, they also increase the number of interactions with customers and, in the long run, the brand’s turnover. This artificial intelligence is no longer reserved for chatbot and e-commerce but is gradually beginning to integrate into the world of physical retail (the so-called “brick-and-mortar” as the Anglo-Saxons call it). These humanoids become real marketing and commercial tools for brands. Always with the aim of improving the customer experience, but also the confidence that consumers can have in the brand, Casino works in collaboration with the start-up Tilkal to offer better information on the origin of the products. This application uses the blockchain to certify the origin of the product. Customers scan the QR code of an item and access the exact origin, product characteristics, details of the movements made for this product, and so on. A similar experiment was conducted by Albert Heijn in the Netherlands through an augmented reality application without however integrating the “blockchain” element (which has become an essential component of any good technological POC that is respected in 2019). Of course, retailers also tend to use new technologies to optimise payments within their stores. We have talked about Delhaize, who wants to allow its customers to scan the items they choose in store to pay them directly on their application without having to go to the checkout. But this paragraph would be incomplete if we do not mention Amazon Go, the most prominent initiative in this field and which marked the first real attempt to create a fully automated store where gates and cameras ensure the path and purchases of customers before debiting their accounts automatically. In terms of in-store experience and AI applications, Amazon Go is now the best and seems to be appealing as large openings of “stand-alone” points of sale are planned in the United States.